The borehole at Ilturisho has been pumping out clean water for nearly two years now. 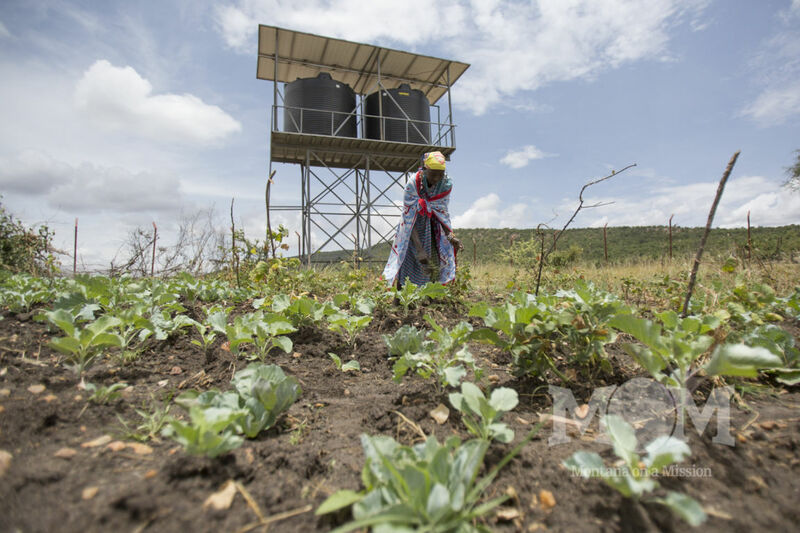 This project provides clean water for up to 2000 people each day. During the driest times people come from long distances to fill their jerry cans with the fresh water. 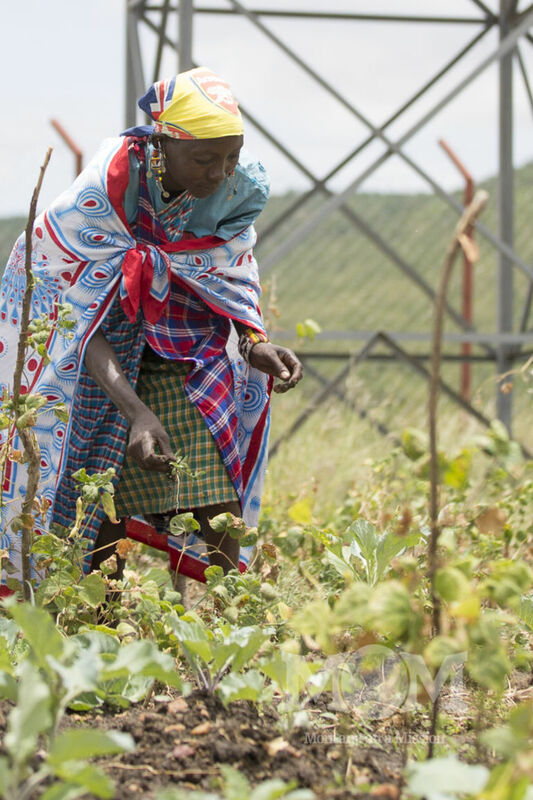 Mary and her family grow collard greens, beans and cabbage in their garden plot next to the borehole. Clean water makes an incredible impact on the health and energy levels of those who have access to it, allowing them to put more time and energy toward other endeavors such as education and making handcrafts to sell. 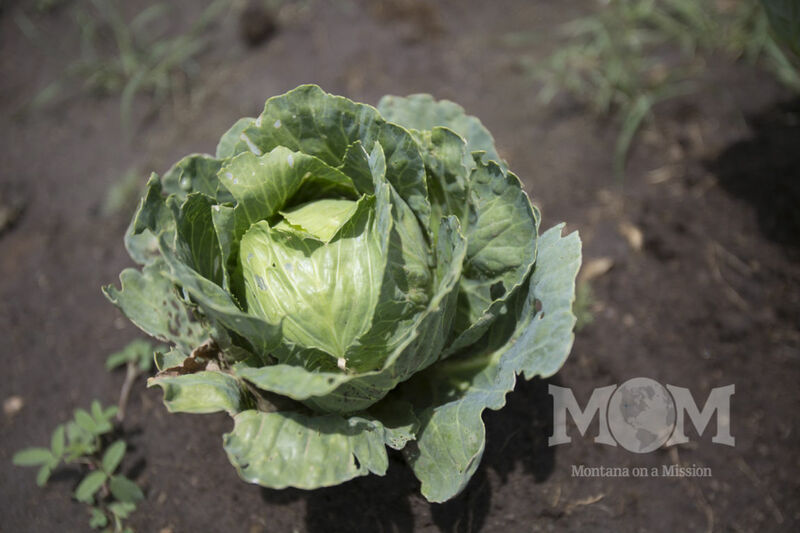 Another benefit is that the runoff from the fetching point can be used to water small gardens that provide food for families to eat as well as a small source of income when the surplus is sold. 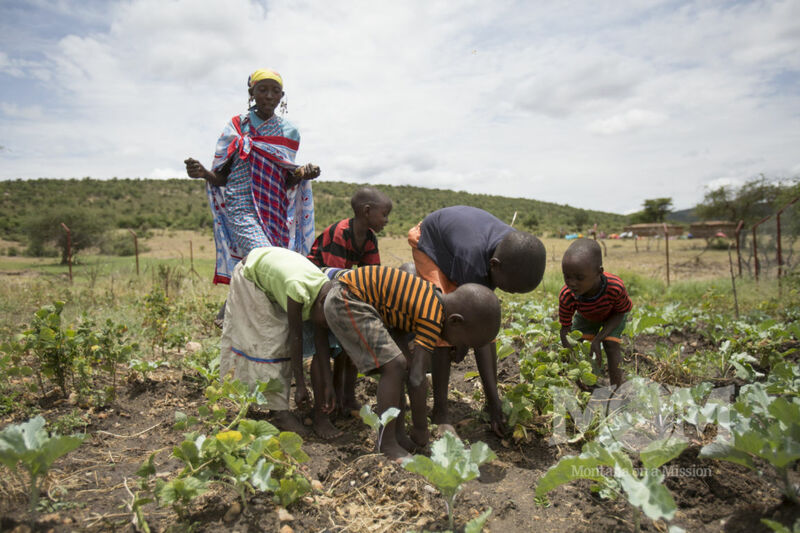 We got to visit Mary’s garden last month while we were in Kenya. She grows beans, collard greens, cabbage and sometimes corn for her family to eat. 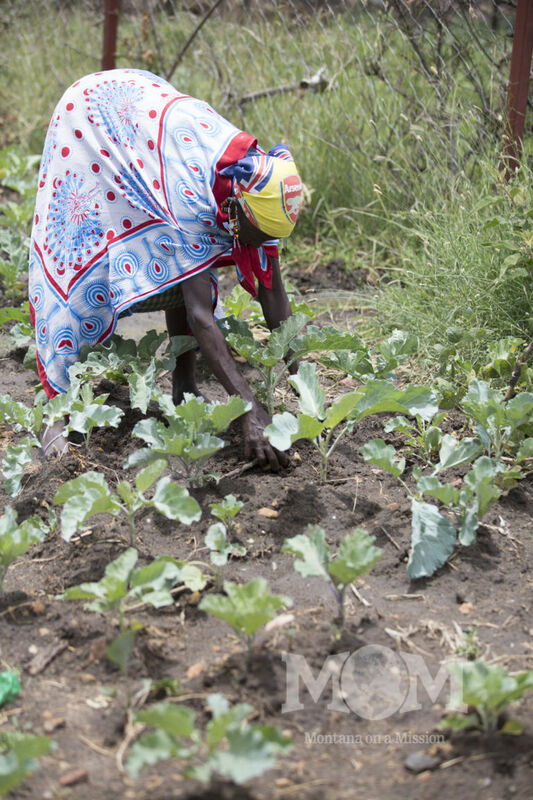 She faithfully tends the garden, proud to be able to grow food for her family. She is so grateful to MOM and all of you who have contributed through financial gifts and prayer to make this a reality for her! 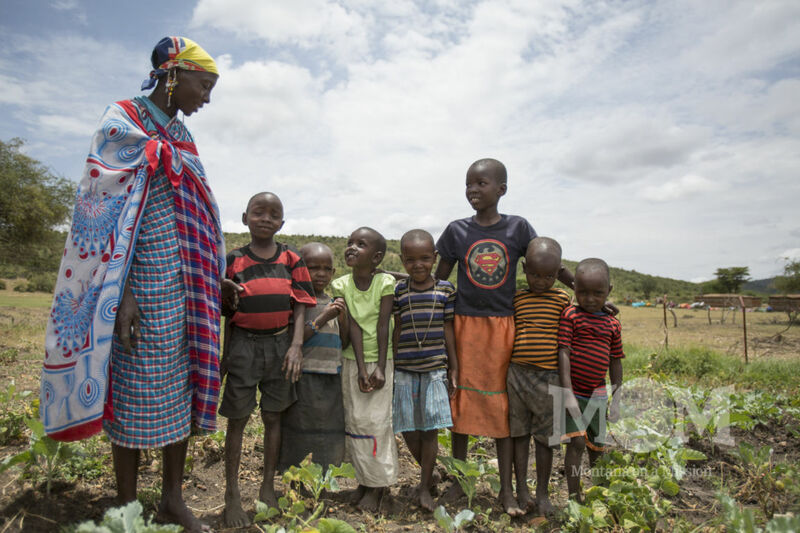 When you contribute to the Montana on a Mission H2O For Life Kenya clean water fund your donation goes directly to helping families like Mary’s stay healthy, grow food and increase access to education. Will you make a contribution today?